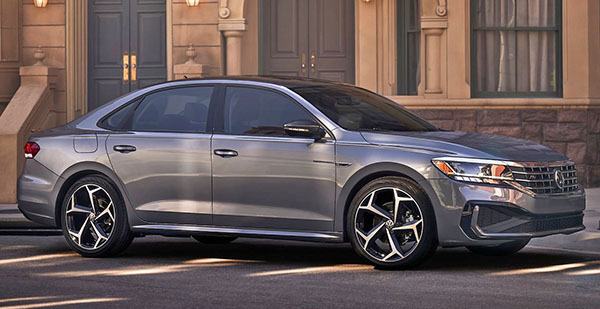 The "new" VW Passat for the US is not so new. So they really spend as little as they could on this. While making sure the car actually looks all new. Which, I think, might actually work for them. Since most car buyers will never know. As long as there is enough power and a transmission smooth enough to be unnoticed, most people are happy. But I am still old fashion and think VW should be special. In the US, they used to appeal to people who wanted something different. Something that's not a Toyota or a Honda, and were willing to pay a little more for it. The current Passat is a nice driving, comfortable and super roomy sedan. So I guess this is even a little bit better. And VW might actually sell more of these, and a minimum cost to them. It's just too bad that VW thinks so little of the US market. Where it is competing with cars that have been completely redesigned. Not only this competes with more modern cars like the Accord, Altima or Camry. Sorry, this is not a new car. I have been waiting for this for some time. I have the last generation Jetta, and thought a new Passat would be a nice complement. I think I'll have to get the Mazda6. If there is a 'merger' or 'partnership' with VW coming - this could easily be the next Taurus...which would sell much better than Passat. Chinese brand Zotye signs 19 US dealers. New Geely FY11 Crossover "coupe"
2020 VW Passat Video in full "BurlappVision"
2020 Mercedes C-Class sedan ? 2020 VW Passat interior Vs. "the old one". VW Passat: now with 3 interiors. All new Cadillac EV coming up.